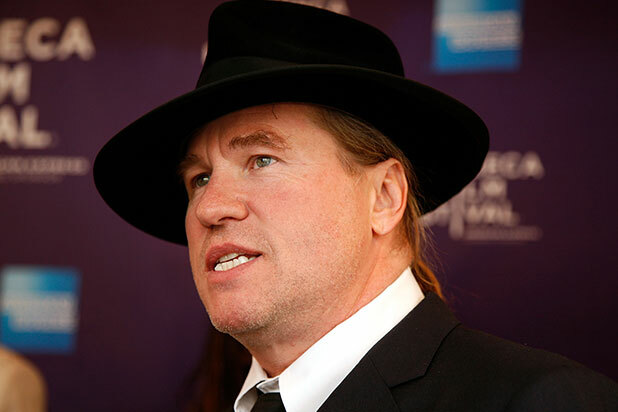 Kilmer also alludes to his own battle with throat cancer in his post. Suicide is not selfish. The only reason people suicide is to escape the pain. This tweet is just awful. Suicide is not selfish. It’s a very personal battle within. Unfortunately, mental illness does not allow you to look past your sorrow and pain. It’s not done out of malice. How can you be mad at someone who killed themselves? Because they were selfish for ending their life? Is it not selfish that you would rather they live in pain than decide to end that pain? Who do you think suffered more? The guy who ended his life or the people who had to mourn? Lena Dunham weighed in on the matter of blaming those who commit suicide, though did not mention Kilmer. People don’t commit suicide because of an event, a person or a thing. You wouldn’t blame a person for someone else’s cancer, nor call someone weak for developing it. Only when we start talking about depression as a disease will stigma be erased. Bourdain died on Friday at age 61 of suicide. According to the BBC, Bourdain’s body was found in a hotel room in a Strasbourg, France, where he was shooting an episode for CNN’s “Parts Unknown,” now in its 11th season. Many stars took the opportunity to note that Bourdain’s death came just days after that of fashion designer Kate Spade, also by suicide, and underscored the crippling effects of depression. See Kilmer’s Facebook post below. "Low plastic stool, cheap but delicious noodles, cold Hanoi beer." Bourdain famously tweeted this line along with a photo of himself and President Obama hunching over a small table in Vietnam as he demonstrated the best way to slurp noodles. It's an incredible sight to see both Obama and Bourdain so at home with their worldly curiosity and feels like an image of Americans at their best. You may know it from the documentary "Jiro Dreams Of Sushi," but Bourdain got to the best sushi in the world first. In this clip he makes a great case for what it is to be a master of something and the importance of respecting someone else's values by eating something the way it was served. That means no soy sauce and no wasabi, just total faith that what you're about to eat will already taste like perfection. Bourdain was known as a "rock star" chef for how he approached life with reckless abandon. So it makes sense that he'd be close with a bona fide rock star in Iggy Pop. While he had a lot of great musical moments lunching with musicians such as Serj Tankian in Armenia or The Black Keys in Kansas City, his finest moment came in Miami, where he sat down for a hilariously healthy and refined meal with one of punk's legends. "What does it say about us that we're now sitting in a healthy restaurant, I just came from the gym, and we're sitting in Florida?" Bourdain's brash personality shines through in this brief clip in which he shows a little disdain at being so well known for making a relatively simple dish like scrambled eggs. But they might be the best scrambled eggs you'll make, and it's a must try. "Isn't it nice to do something vaguely normal like cooking for yourself," he says in the video. "I feel like a human being again." Part of Bourdain's charm was that he was unapologetic about things he didn't like and had a way with words to embody his disgust. In this amusing clip of him talking with Conan O'Brien, he recalls a depressing meal he had at an airport Johnny Rocket's that he called temporarily "soul-destroying." "We all sort of stood there silently for a second, kind of sharing this moment of perfect misery. None of us were where we wanted to be." One of Bourdain's more amusing discoveries in plain sight was him finally venturing to a Waffle House, this one in Charleston, South Carolina. The way he describes Waffle House as an inclusive, welcoming place with a warming, inviting yellow glow feels like a beautiful, microcosm of America. "Neither East nor West but always somewhere in the middle," Bourdain says in this 2014 episode of "Parts Unknown" where he found some unexpected bonds with an Iranian family, sitting down to a glorious Persian, home cooked meal. He went in fully knowing that American audiences might react negatively to it and hoped to break down barriers.